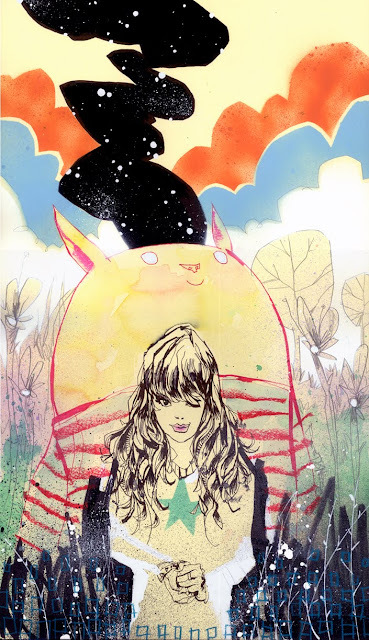 Jim Mahfood aka Food One is one of my favorite artists. 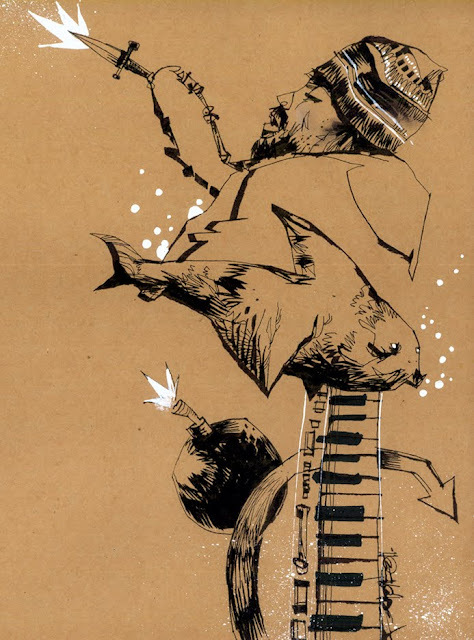 I met his brother, DJ Mahf when I lived in St. Louis (that's a talented family) and have since seen his artwork everywhere (including one of my new favorite graphic novels, Marijuana Man). I wanted to showcase some of his newest art. I love the work he does with ink and figures.